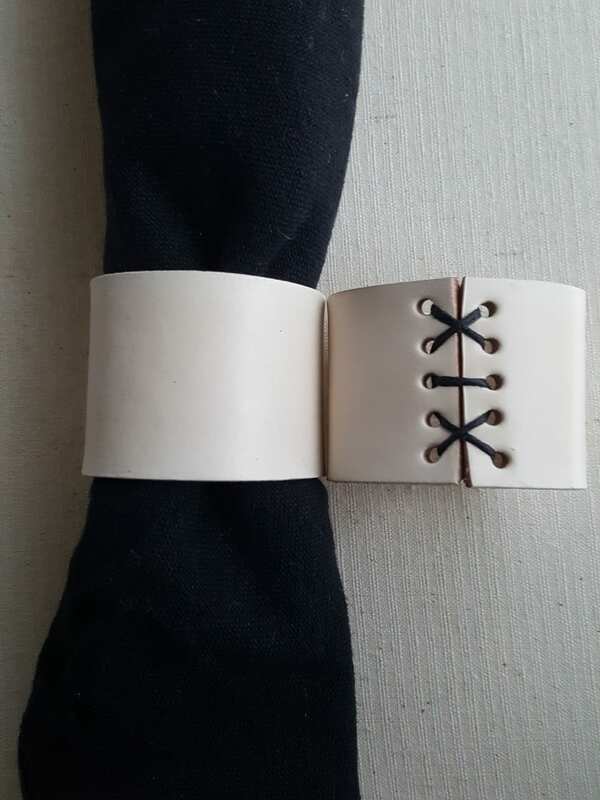 Winter white leather napkin rings with hand stitched black leather. 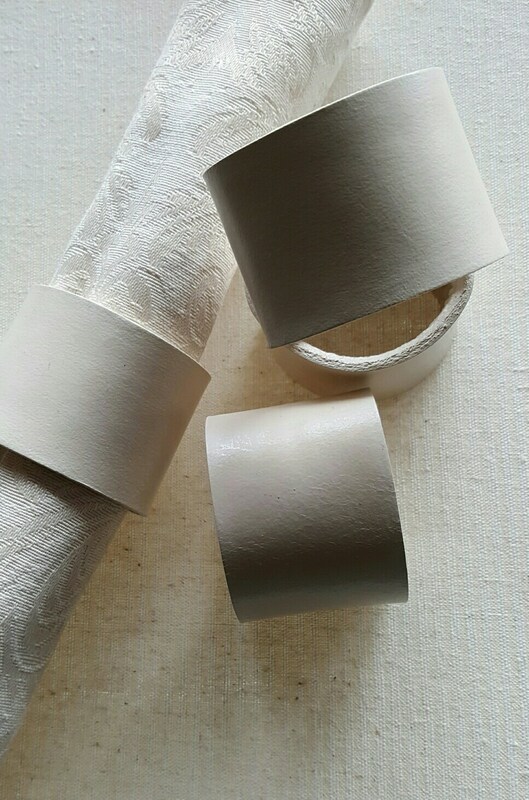 Leather napkin rings are hand dyed. 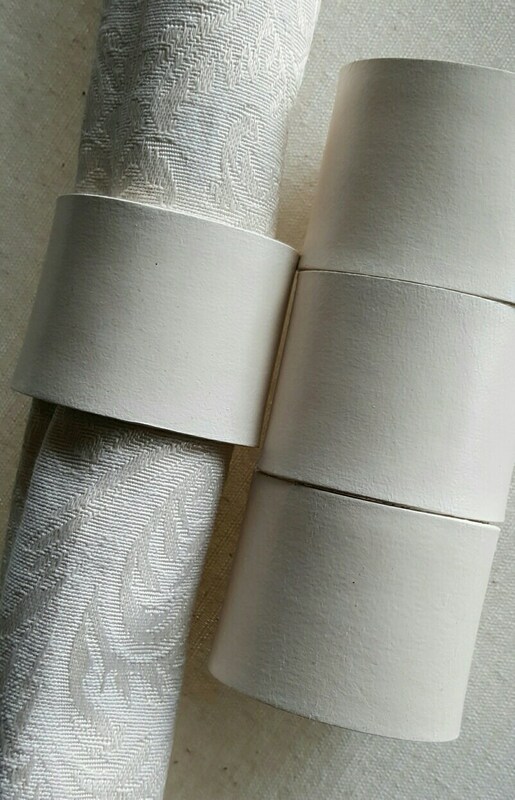 Variety of colours available. 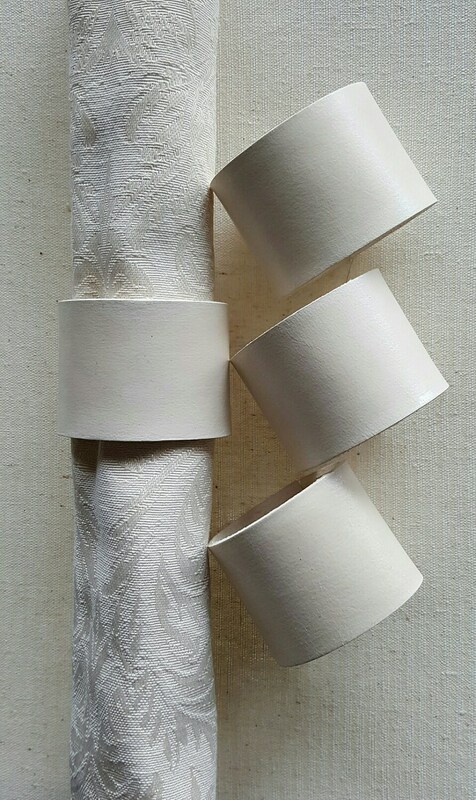 Set of four napkin rings are a perfect shower gift, anniversary gift, or just because gift. 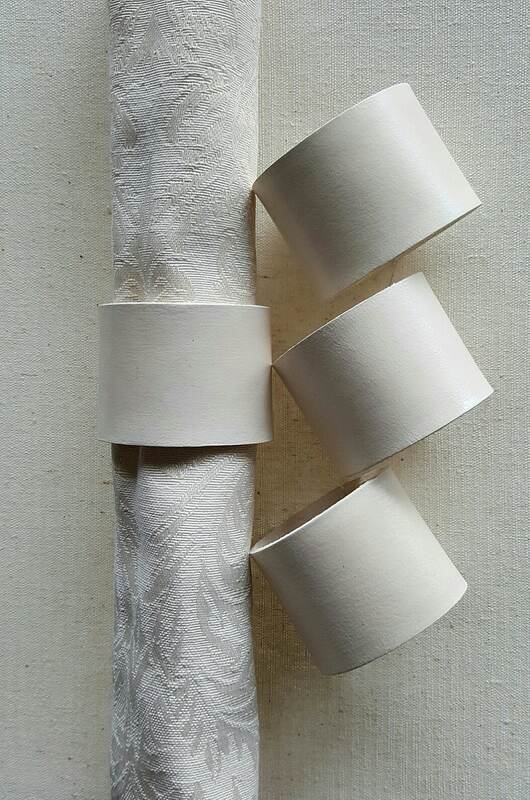 We hand cut our leather, punch stitching holes and hand stitch every napkin ring. Please contact us if you require large orders for banquets, restaurants, wedding party or if you need a couple for an intimate dinner for two! If we are out of stock, please ask. Please view our other items online. Favorite us....to get the latest hot off the anvil and the latest from our studio! I had a special order because I wanted a variety of colors in one set. Communication with Lisa and Robert was quick and helpful. Today the set arrived and there was a note from Lisa in with my order. One of the colors I had ordered had a slightly different top coat (which I think means a different sheen to it) so they added a top coat to one of them so the whole set would match) enclosed was a sample of how the color looks normally. I really appreciate them doing that for me. Other than that they look exactly like the pictures so there are NO negative surprises. I'm a happy camper.